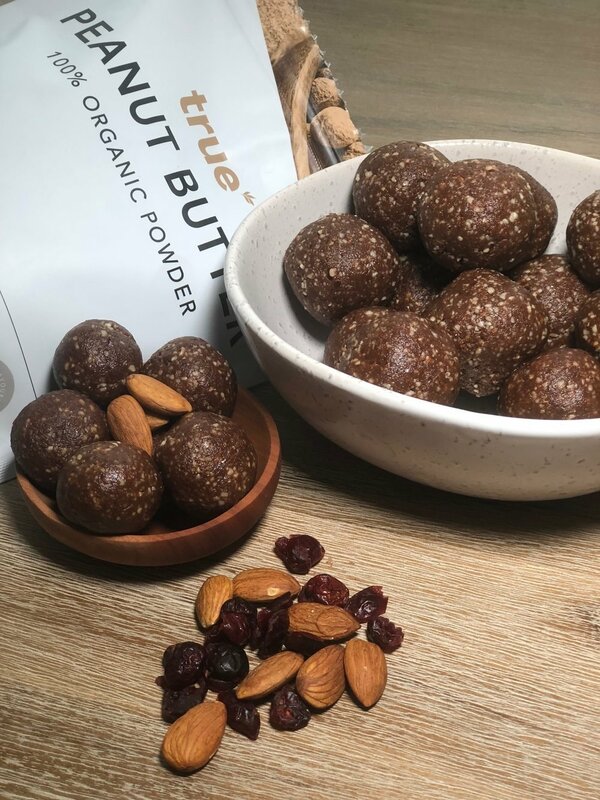 Bliss balls, protein balls, energy balls, whatever you may call them their are so many variations out there, yet it can be hard to find one that is both tasty and ticks all the nutrient boxes. When it comes to recipe creating I'm all about quick, easy and nutritious. These choc peanut butter balls are all of that plus are family friendly so are perfect for my little two year old and a great snack to support me through my pregnancy and those busy days. Add all ingredients to a high powered food processor. Blend on high speed until well combined, scrape down the sides as you go to ensure even mixing. Use a teaspoon to help keep mixture even and roll into bite sized balls using the palms of your hands. Place the tray in the freezer for 2 hours. Once the mixture has hardened it can be kept in the freezer for longer shelf life, or store in the fridge for immediate enjoyment. I roll our balls into two sizes; our 'adult' sized balls and then some baby bliss balls suitable for a serve for Byron without overloading him on the natural sugars found in dates. This recipe has no addd or artificial sugar, high in heart healthy fats and will give you that sweet, chocolatey hit when you most need it.